University Senior Lecturer at the University of Cambridge Department of Computer Science and Technology (the former “Computer Laboratory”) and a Fellow of Wolfson College. 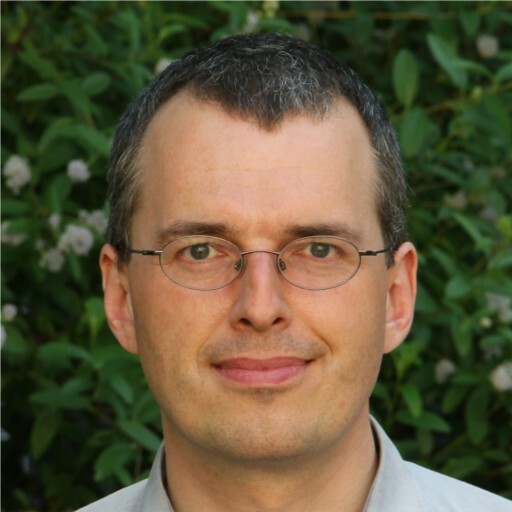 Research interests: computer security, in particular hardware and signal-processing aspects, including in particular compromising emanations, RFID security, and the security of positioning systems (distance-bounding protocols, authentication of navigation signals), hardware tamper resistance, smartcards, network security, intellectual-property protection technology and software-defined radio applications. Reachability status: Not in regularly during 15–23 April. PhD applicants: I may be able to take on 1–2 new PhD students, and in particular look for applicants interested in hardware security, side-channel analysis, applied cryptography, statistical signal processing, or radio communication. See also below for the one funded studentship opportunity I have available next year for a UK student to work on side-channel analysis. I'm happy to discuss research ideas informally any time. Internships and visits: Since quite regularly get email applications for internships: please note that I do not usually have any funding available for interships. I will be able to offer one 3.5-year PhD studentship on side-channel security, starting in October 2019, to applicants interested in hardware security, radio communication, experiments with software-defined radio hardware, and digital signal processing. The basic idea of the project is to investigate, how radio waves reflected from an electronic device can pick up side-channel information about the processed data, and how that can be reconstructed and used to enhance eavesdropping range in comparison to purely passive electromagnetic eavesdropping attacks. Applicants should have an undergraduate or masters degree in Computer Science, Electrical Engineering, Mathematics or Physics. Please contact me by phone or email for more information before submitting a formal application. Note: Due to the UK government funding source, this studentship is restricted to UK nationals, or applicants who have been resident in the UK for the past 10 years, and subject to the candidate being able to obtain a UK DV security clearance. On the formal application, please quote the advert code NR17902. Marios O. Choudary, Markus G. Kuhn: Efficient, portable template attacks. IEEE Transactions on Information Forensics and Security, Vol 13, No 2, February 2018, pp 490–501. Khaled Baqer, Johann Bezuidenhoudt, Ross Anderson, Markus Kuhn: SMAPs: Short message authentication protocols. Security Protocols Workshop 2016, 7−8 April 2016, Brno. Marios O. Choudary, Markus G. Kuhn: Efficient stochastic methods: profiled attacks beyond 8 bits. CARDIS 2014, LNCS 8968, pp. 85–103, 2015. Omar Choudary, Markus G. Kuhn: Template attacks on different devices. COSADE 2014, Paris, 14–15 April 2014, LNCS 8622. Omar Choudary, Markus G. Kuhn: Efficient template attacks. CARDIS 2013, LNCS 8419, pp. 253–270, 2014. Markus G. Kuhn: Compromising emanations of LCD TV sets, IEEE Transactions on Electromagnetic Compatibility, Vol. 55, No. 3, pp 564–570, June 2013. I teach second and third year undergraduate courses in the Computer Science Tripos: Security, Cryptography, Digital Signal Processing, Unix Tools, and give an introductory lecture on LaTeX and MATLAB. Course materials pages: 2018/19, 2017/18, 2016/17, 2015/16, 2014/15, 2013/14, 2012/13, 2011/12, 2010/11, 2009/10. PhD students: Christian O'Connell (submitted September 2018), Shih-Chun You (started October 2018). Former PhD students of mine that have already graduated: Piotr Zieliński, Steven Murdoch, Gerhard Hancke, Saar Drimer, Andrew Lewis, Marios Omar Choudary. We organize a Security Seminar Series, which is open to the public.